The two best routes to get from Koh Phangan to Koh Lanta both involve taking a ferry from Krabi Province. The quickest route is to take a ferry to mainland, a bus to Klong Jilard Pier near Krabi Town and then a ferry to Koh Lanta. The longer, but cheaper option is to travel via Surat Thani Town to Krabi Town, and from there take a bus and car ferry from Hua Hin Pier which is 74 km away from Krabi Bus Terminal. The easiest way to complete the journey is take one of the joint ferry and bus services from Koh Phangan to Koh Lanta. These are operated by four companies: Phantip Travel, Lomprayah High Speed and Seatran Discovery. There are 5 joint ferry and bus services a day from Koh Phangan to Koh Lanta. The fastest service from Koh Phangan to Koh Lanta is the 07.00 departure with Phantip Travel which completes the journey in 7 hours 20 minutes. 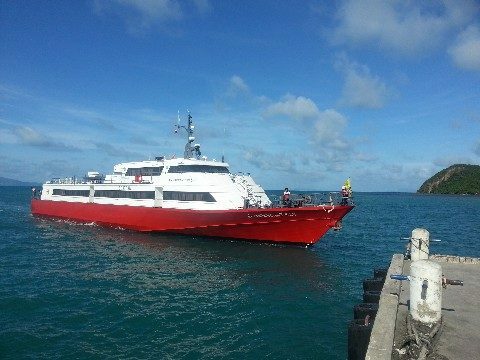 All five joint services from Koh Phangan to Koh Lanta depart from Koh Phangan Ferry Port in Thong Sala. 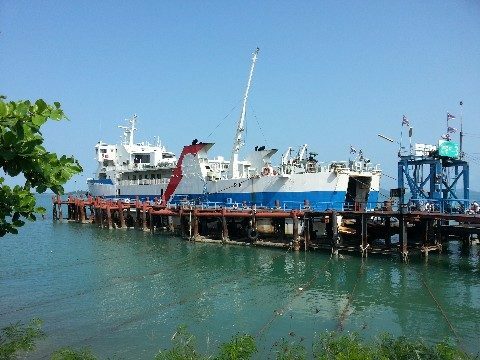 All services arrive at Saladan Pier on Koh Lanta Yai, which is the larger of two islands of Koh Lanta and where most of the hotels, and restaurants are located. Use Search box to buy your ticket from Koh Phangan to Koh Lanta. Children’s Tickets are now available to book online for the Lomprayah Service. They cost ฿ 650 and are available to children aged between 2 and 11 years at the time of travel. Phantip Travel provides a single service per day from Koh Phangan to Koh Lanta. This is a budget service which is also the fastest service from Koh Phangan to Koh Lanta. Passengers travel on the car ferry from Koh Phangan to Donsak Raja Ferry Pier. From the ferry pier in Donsak passengers are taken direct by bus to Krabi Town where they transfer to a minivan for a transfer to the ferry pier for the sea crossing to Koh Lanta. This service follows the same route as the Phantip Travel service. The main differences are that it is slightly slower, but much more comfortable. 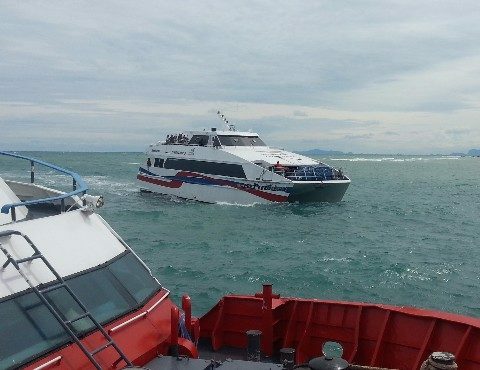 Passengers travel from Koh Phangan to the mainland on a high speed catamaran ferry and then from there to the ferry pier in Krabi in a modern bus with on board toilet. 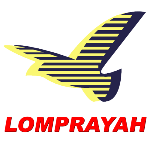 The main difference between this service and the service provided by the Lomprayah High Speed Ferry Company is that passengers with the Seatran Discovery company travel in a minivan rather than a bus from Donsak Seatran Ferry Pier to Krabi. Some travellers prefer not travel in a minivan, however, the journey from Donsak to Krabi is fairly short (around 2 hours 30 minutes). All five daily departures from Koh Phangan to Koh Lanta leave from Koh Phangan Ferry Port in Thong Sala. Thong Sala is the administrative capital of Koh Phangan and its commercial centre. Thong Sala is on the South West Coast of Koh Phangan and easily reached by road from most locations on the island within 30 minutes. If you are staying in Koh Phangan ask at your resort about booking a seat in a shared taxi to reach the ferry port as this is the best, and often only way, to travel around Koh Phangan if you do not using your own car or motorbike.